For the rest of the world that isn’t familiar with the ridiculous state of cannabis legalization across Canada… here’s the basics of whats going on. Over a year ago from today Cannabis was set to be legalized across Canada in spring of 2018. With a year to plan (and copy laws from places where legalization works, which would make too much sense) Justin Trudeau (Prime Minister of Canada) decided to push back “legalization” to October of 2018. At Provincial and city levels across Canada the corruption and greed of politicians exposes itself day by day. The ways its going down in Canada is that politicians are finding ways to make laws that benefit the governments through absurd taxes, even more absurd laws and line the politicians pockets. This is why it has taken so long to legalize cannabis in Canada (a country that has 3 million less people than the entire state of California where its been legal for some time). 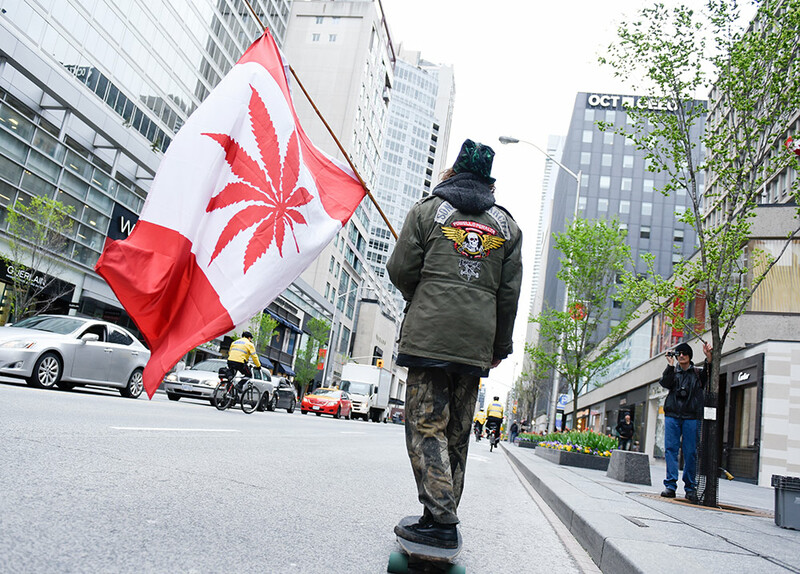 In Toronto (home of Tweed and Canopy Growth Corp), cops have been raiding shop for years, while Vancouver is home to some of the best dispensaries and marijuana brands in Canada. Meanwhile, in Burnaby British Columbia, the city wants to ban private cannabis shops in order for the city to have a monopoly on the distribution of cannabis. The Prince of Pot (Marc Emery) has been gone after by the Canadian government for decades. They even helped the American government put him in prison for 5 years on technicalities in order to set an example for people in the cannabis industry. He recently was set free from jail (again) after Montreal police arrested him for opening dispensaries months ahead of the federal government making it legal. Its clear that the Canadian government has less interest in making cannabis legal for the people of Canada than it does making it cannabis legal so it can profit from the taxes and control the entire industry. This is the exact opposite of how marijuana legalization is going down in America. In the states, the State Government makes laws to make it legal with guidelines on what you can/can’t do and then they legalize it. From that point, its a field day for entrepreneurs to get licenses, start companies and innovate withing the cannabis industry. While its still illegal at a federal level across America, within the states where its legal… those states flourish. Both people and governments benefit. All Canada had to do was take all the laws that made sense and work from states like Colorado, California, Washington and Oregon and shape them into federal Canadian law with additions specific to the industry up here. Instead, they’re still dragging this out while Canadians are being put into prison for something that should have already been 100% legal. With all of the scientific evidence and documented benefits cannabis has on society (like getting people off of dangerous pharmaceuticals, hard drugs and allowing people with seizures to function daily) people who make laws in this country continue to deny science and the benefits it can provide the people they are suppose to be serving. What makes cannabis legalization worse in Canada is the politicians who do think it should be legalized are dragging out the process to make sure the provincial and federal governments get as much of the pie as possible and doing it because they can. The liquor companies (which many are owned by the Provinces) are pushing for laws to make sure that all cannabis supply gets distributed through the liquor companies. Basically, the governments, via the liquor companies are trying to pass laws to make sure they act as a “middle man” and get a piece of the cannabis industry… which alcohol has nothing to do with. They see the future and know that when marijuana gets legalized that alcohol sales drop and they’re trying to cover their asses. Its blatantly obvious as to what their intentions are. This screws over private companies, entrepreneurs and stifles innovation of the cannabis industry forever in Canada if they continue to operate this way and allow these types of thing to go on. For a country that is suppose to be a leader in the global cannabis industry they’re setting a really bad example by allowing politicians to make laws that benefit the greed of other politicians. The Canadian government is established to serve the people… not the other way around.